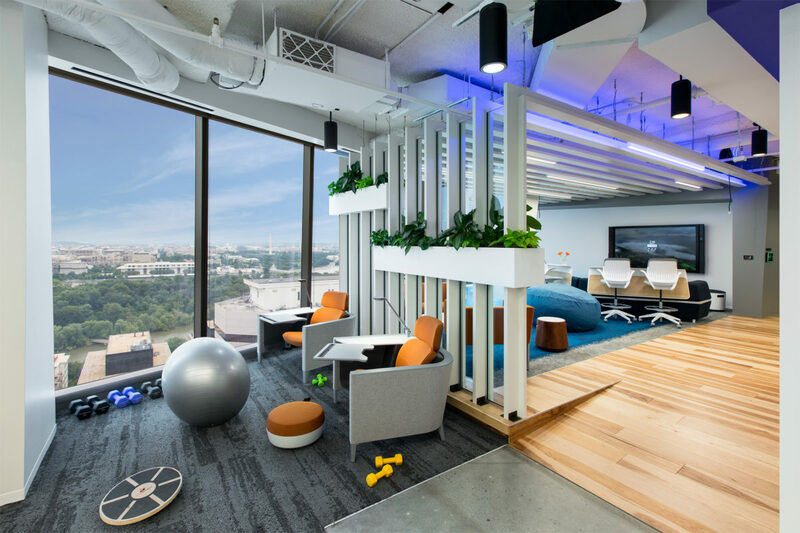 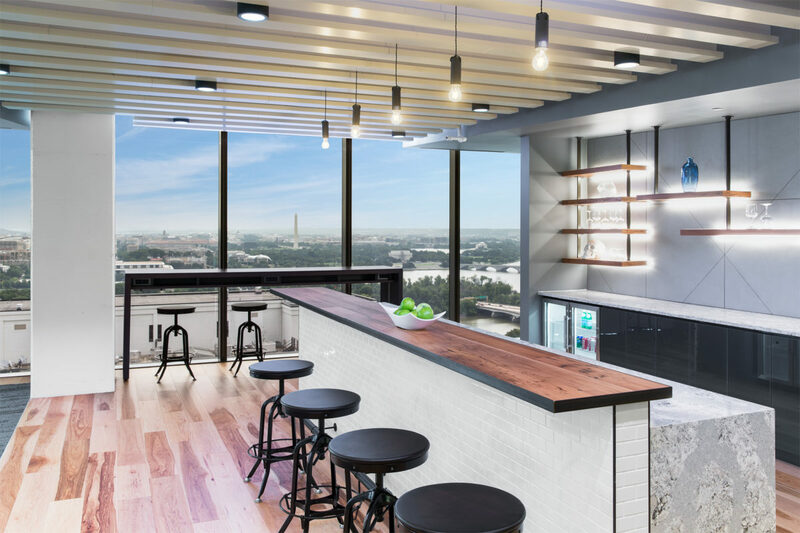 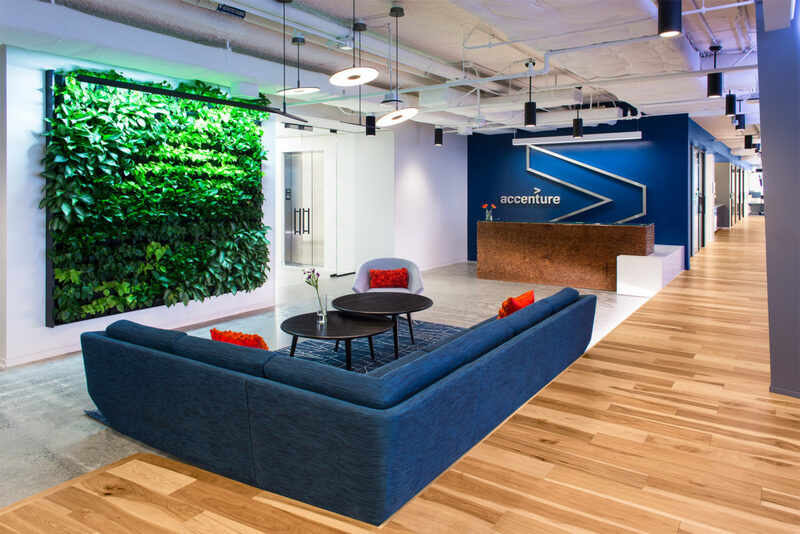 Accenture wanted a premiere space to showcase their cybersecurity innovations while also providing a workspace for three newly acquainted teams. 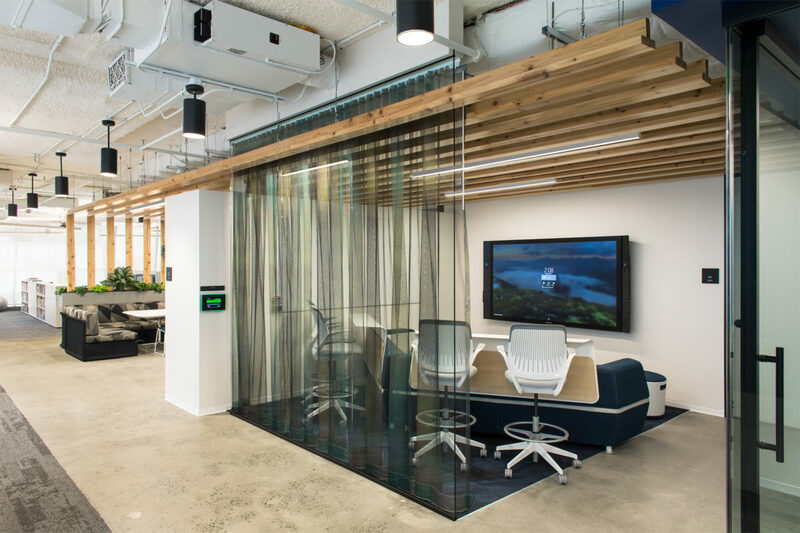 They envisioned a space that would inspire creativity and innovative thinking through a variety of sub-spaces catering to every work style. 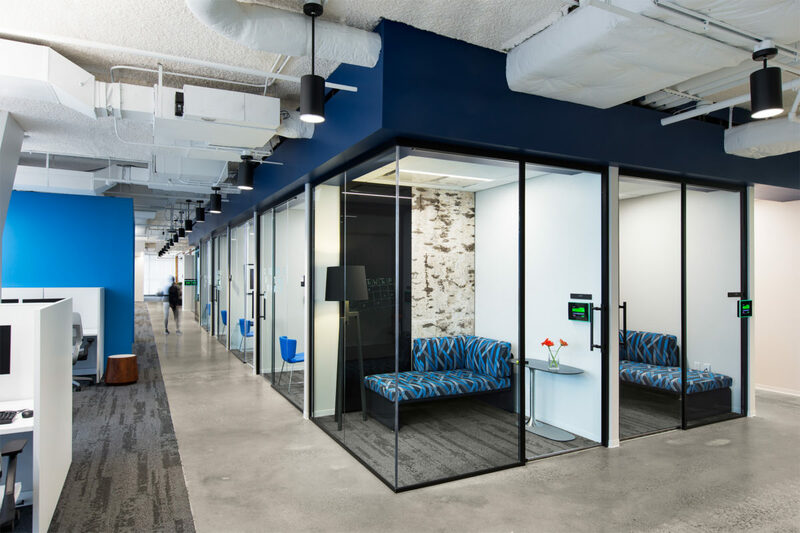 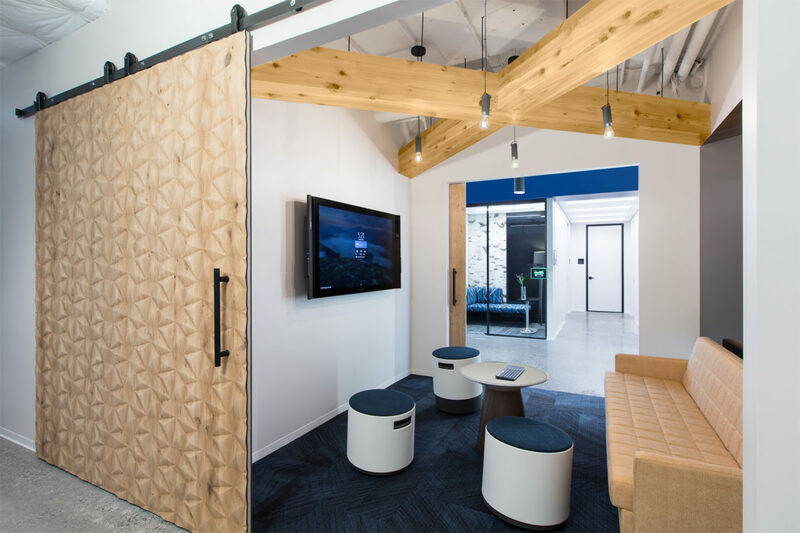 To facilitate their design-thinking approach to problem-solving, designers knew the space needed to balance the specific security and privacy requirements of each group while promoting connectivity and collaboration.